As I hint in the title and in the previous paragraph; there is an exchange going on here. I'm exchanging various personal data (purchases, preferences, and health data) over to these companies. Of course, we all know that we're all doing that in myriad ways already. In these cases, I'm at least getting something more substantial in return. But I would definitely emphasize that if you're uncomfortable with such data exchanges, some of these will not be of interest. But since we're approaching the time of year when spending goes into overload in the US, I thought I'd share some of them. So ReceiptPal is a pretty straightforward app. You snap photos of your receipts and upload them. Four receipts get you 100 points. When you get enough points, you can purchase anything from a $1 Amazon gift card (400 points) to a $75 Amazon gift card (14,000 points). They have other gift cards you can buy as well--a pretty decent range. 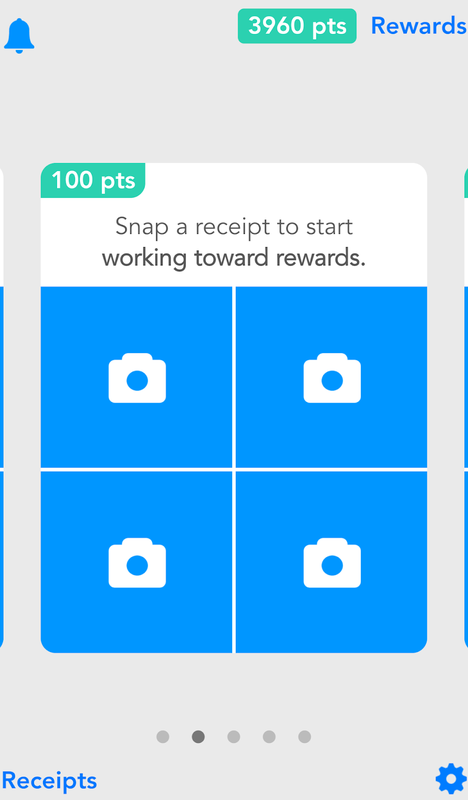 One element to get more points is to sync your email so that it scans for receipts (e.g. from Amazon or elsewhere) to get additional receipts that you don't necessarily have the capacity to take a photo of. I'm probably on my fourth or fifth accumulation and it is the easier of the apps to use. ReceiptHog is much like ReceiptPal--though it's more focused on grocery/department stores. That gets you the most points. You upload receipts from groceries and usually have to answer 2-4 simple questions afterward (who went, how was the experience). Sometimes they get a bit more extensive with questions, but that's usually like 1 in 10 receipts--if that much. You can also do dinner receipts and the like but those only give you changes to win more coins. Receipt Hog has a much more gamified feel to it with levels that you can work up to based upon how often you upload receipts as well as a slot machine that you can plan when you get tokens (usually dependent on the number and kind of receipts you submit). The slot machine gives you chances to win more coins and ultimately, it's the coins that will get you the loot, which is primarily Amazon gift cards, PayPay payments or Visa gift cards. They also have occasional surveys (based upon your purchases) that they will give you additional coins on. SurveyMonkey Rewards is a pretty straight-forward survey for money apps. Unlike other survey apps, all surveys are worth $ .25 if you are looking to cash them in for yourself. They are also time-sensitive; that is, if the alert shows up on your phone, then you'll want to respond quickly because if you wait too long, the survey is no longer available. One cool part about SurveyMonkey Rewards is that if you choose to donate your money to one of the various causes on SurveyMonkey, then they will double what you have. It's a nice way to do some idle charity. This is the newest one that I've been using--probably only about 2 months and the surveys are maybe 1-2 a week. By contrast, PanelApp is a bit more robust and I've found it more worth the effort. 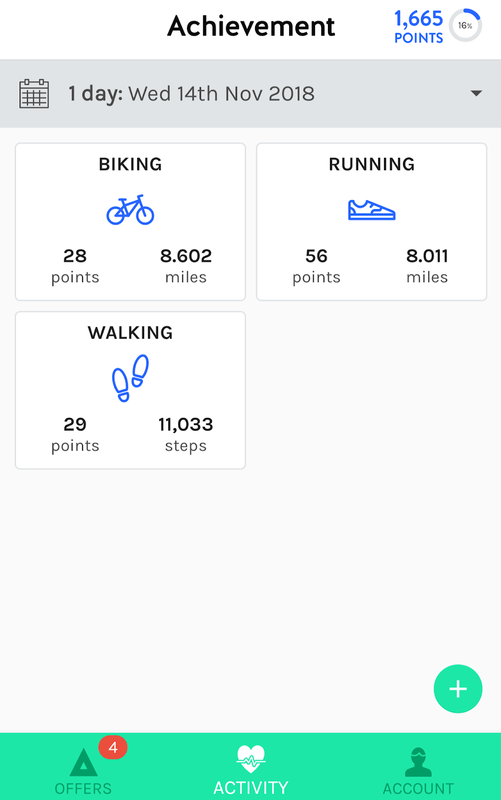 First off, Panel App gives you a certain amount of points each day for allowing to track where you go. It then asks you questions based on your location (e.g. it shows you a map and say, at 9:35am on Tuesday, you were within this area, where were you? And then lists some specific and generic answers). Each question you answer will get you points and you often get repeated questions over a given time period (e.g. every time lately that I've gone to the grocery store, it asks me about orange juice; now, I know there's some intentional suggestibility element here but I generally don't like orange juice, so for now, it's not working). Points can be redeemed for a whole slew of things to entries in sweepstakes to gift cards to most of the brand stores and companies out there. What I do like about this one is that it has at least one daily survey for you to fill so it can be pretty easy to accrue the points if you are active on it. It's not as good as Panel App and not as consistent but its surveys are super-short and it can pay from $ .10 to $1.00 for your answers. However, it only pays in credit for the Google App store, so you're limited in its use. I leverage it to buy apps that I am interested in (ahem Final Fantasy 4 for my table) but you can sometimes get a few in a week and then it's quiet for weeks. 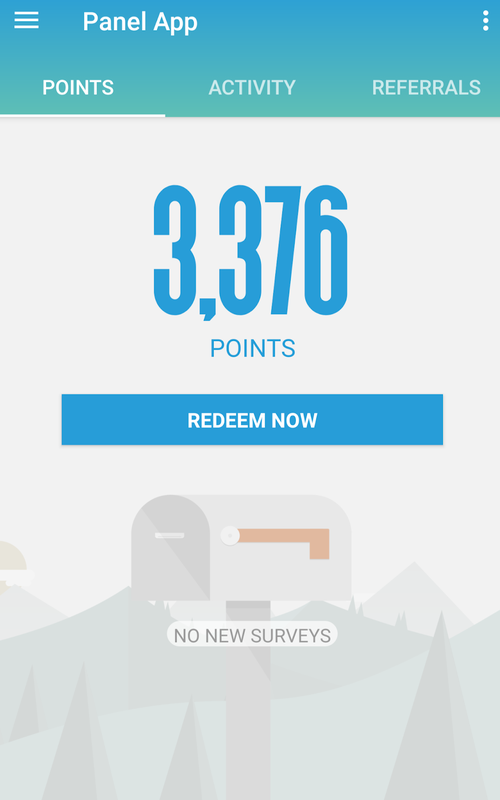 Upsiide is a pretty easy app to accrue points and use those points to get gift cards and the like. It's the Tinder of consumer goods. Basically, you are shown items (clothing, movies, food, drinks, furniture, etc). If you like something, you swipe right. If you don't, you swipe left. After you swipe right on 2 items, you have to decide which one you like better. The next time you swipe right, it squares off against the winner for the first 2 right-swipes. It's pretty easy to get into a rhythm with this one, but it's more interesting upon reflection to see what my preferences are regarding certain things. My big recommendation is to express interest in all categories as this gives you more opportunities to evaluate. The following two are my favorite apps! I started using Earny in June and I've already made close to $40. Not bad. So how does Earny work? Well, it works best when you have (and use) one of the credit cards that it identifies and you also sync your Amazon card. 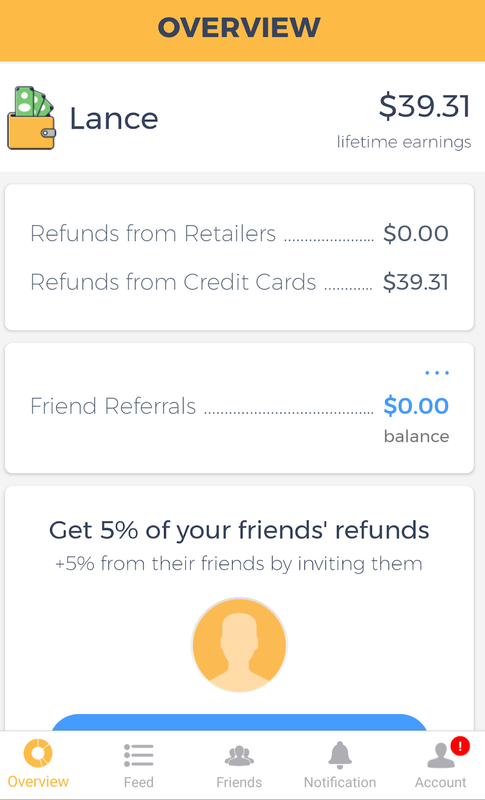 Since both often have refund policies for items being offered cheaper elsewhere within a certain amount of days, Earny keeps an eye out for them and when they appear, they request a refund on your behalf. They take 25% but in reality, that's 25% of the money I did not know I was eligible for and given that it's already delivered on returned money, I find it an effective way of getting money that I thought I already spent. The one critique that I had early on with this is that the log-in feature was klugey. It seems better but I still occasionally find myself having to re-enter information. So while I don't directly get money in hand in the form of gift cards or PayPal payments, it certainly is worth it and I definitely do a little dance when the refund emails show up. Here's another one where all I have to do is put the information in once and it works like magic. Achievement is definitely for the active person, especially if they have a wearable. You sync Achievement with your wearable and other relevant apps (e.g. MyFitnessPal or Strava). 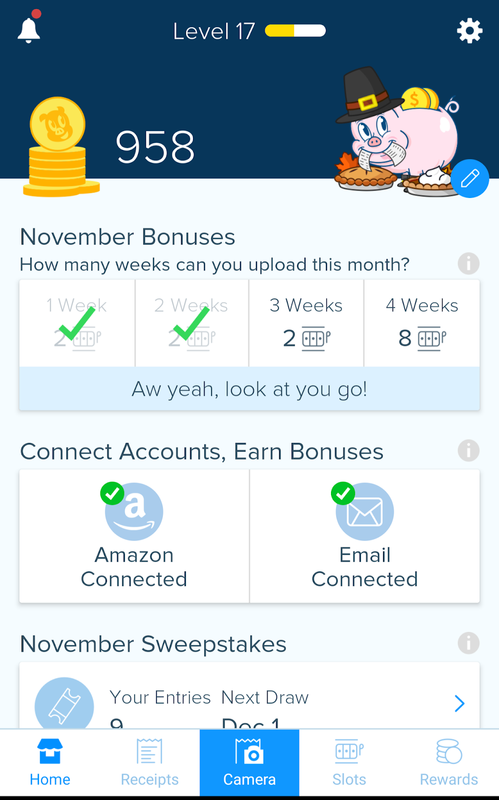 Your work-outs get you points and when you hit 10,000 points (usually takes about 3 months), you get $10 in PayPal funds. Not a bad amount for what I'm doing already. I doubt this will get people working out more but it definitely is a nice kickback from the work you're already doing. You can also get additional points if you post about your workouts on social media too. So those are my go-to apps for a few extra bucks. What about the rest of you? Are there any apps that you're using that get you a little bit of money or reward? Have you had luck (good or bad) with any of these? You should also check out Swagbucks.com (they have corresponding apps), and Pinecone Research. excellent! Thank you--I'll definitely check them out!